It is quite likely that the references to dogs in the Bible were to the same type of dog that is known to us today as the Israel Canaan Dog. The only breed that is native to the "Land of Canaan" or the present day State of Israel, the Canaan Dog is very much the same as he was thousands of years ago. Not changed, as were other breeds, by the planned breeding selections of man, the only criteria for his development were the necessities of survival in a harsh environment. The Canaan Dog is classified in FCI Group 5, where he is one of the subgroup of primitive dogs. He is probably very similar to the primitive ancestor of all of todays breeds of dog, which was known to have developed in the Middle East in prehistoric times. The Canaan retains the basic characteristics of the wild dog: moderate size and bone, well-balanced and well proportioned body, thick and weather resistant coat, prick ears, functional skull shape, very well developed senses, natural trotting gait, and great strength and stamina. The Canaan is also one of the very few breeds known that has successfully adapted to a desert environment. Studies done at Tel Aviv University and Ben Gurion University of the Negev have shown an astonishing ability in this breed to adapt to extremes of temperature and lack of water. The breed has developed physiological adaptations to prevent waste of fluids and overheating. The Canaan Dog has survived for thousands of years on its own, living by its wits, and surviving in the wild and on the fringes of civilization by hunting and scavenging. Often puppies were captured, raised and used, especially by the Bedouin tribesmen, as guardians of the flocks and the tents. Like other wild or feral residents of the area, only the strongest, healthiest, cleverest, and most fit survived to breed and pass on their characteristics. 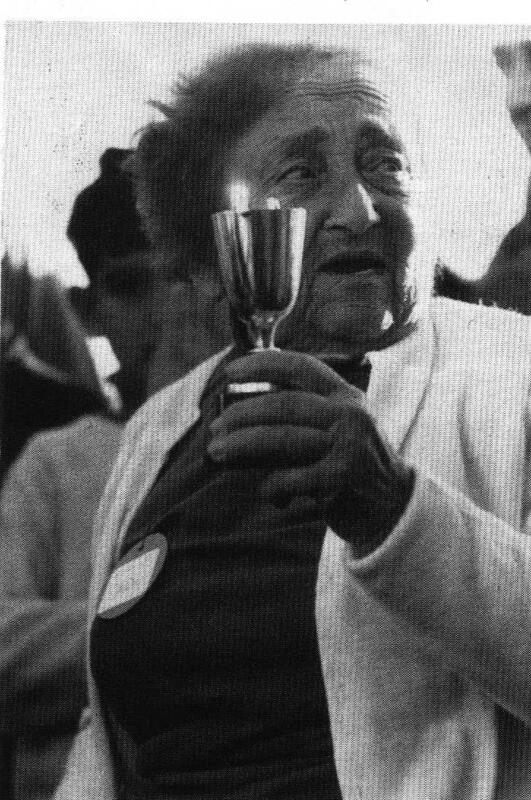 In 1934, Professor Rudolphina Menzel, a noted cynologist with a considerable reputation in her native Austria in the field of animal behavior, immigrated to what was then known as Palestine. The Haganah (the Jewish Defense Forces prior to the establishment of the State of Israel) requested her assistance in building up a service dog organization. She quickly discovered that the European breeds with which she was accustomed to working, German Shepherds, Boxers, Dobermans, suffered greatly from the severe climate and difficult terrain and had a hard time functioning effectively. She began to observe the local pariah dogs living on the outskirts of settlements and with the Bedouin in desert and wilderness areas, and decided that this was a true breed of dog that had adapted to the conditions. She began a program of redomestication, collecting puppies and adults from the pariah groups. She found them to be highly adaptable, amenable to domestication, and quick to learn. Prof. Menzel called this breed Canaan Dog after the Biblical Land of Canaan, found them highly trainable and able to function without difficulty in the extreme conditions of the local environment. She began a breeding program as well as collecting dogs from natural sources, and found them to be very effective for patrol and guard duties, and for mine detection. Prof. Menzel was responsible for gaining recognition for the breed; the breed standard prepared by her was accepted by the FCI in 1966. (The last revision was accepted in 1987). She exported the first Canaans, to the US in 1965 and to Germany shortly after. In 1970, Shaar Hagai Kennels near Jerusalem joined in the development and breeding of these dogs, carrying on after her death in 1973. Shaar Hagai has always attempted to breed to Prof. Menzels guidelines, to preserve the true wild dog type and retain the characteristics, both physical and mental, that make this breed so unique in today's world. Attempts are made to include new desert and Bedouin bloodlines whenever possible to retain the natural characteristics of the breed, and refresh the gene pools. However, it is more and more difficult to find wild-born Canaans. One of the reasons for this is the strict rabies control program in Israel, which includes the destruction of roaming dog packs. Another reason is the spread of civilization that seriously limits the natural habitat of the Canaan. The Canaan is well established today both in Israel and abroad. It is accepted as the official Israeli breed by the Israel Kennel Club and the FCI, and is today accepted and registered by all of the worlds kennel clubs. The demand for the breed is constantly growing, both for show and breeding, and as home guardians: the Canaan is an extremely alert watchdog that is not overly aggressive, he is a good family dog, totally reliable with children, and healthy and easy to care for. However, the Canaan is not a dog for everyone. His proud and independent temperament requires a relationship of mutual respect with his owner, and an understanding of what makes him tick. The Canaan is a highly intelligent dog that is extremely devoted to his own people, and suspicious of strangers. He is not a dog that is willing to fawn over everyone he meets; he is more likely to stand off, look over a stranger, and then simply walk away. If his master insists on him meeting someone new, he will put up with it but it is obvious that he is doing this as a favor to his pack leader. He is extremely alert with very well developed senses, and very territorial, willing to protect his territory whether his master is there or not. However, he is not aggressive without a very good reason and is never likely to attack unless under extreme provocation. The Canaan can, however, be quite aggressive to strange dogs, especially in his own territory. Proper socialization of the Canaan from puppyhood, both with people and with dogs, will teach him what is expected of him and help him to relate to his environment in a positive way.